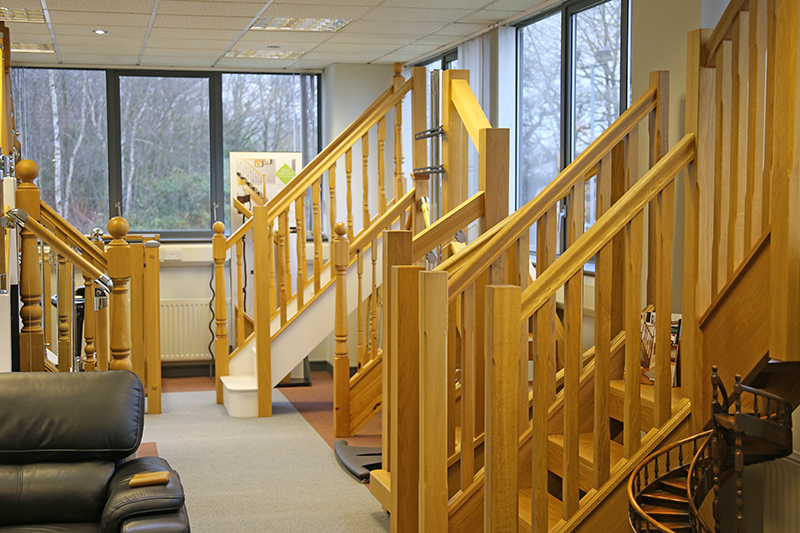 Visit the New Showroom at Hortonwood Telford we have a wide selection of Staircases and Stair Balustrades on display. 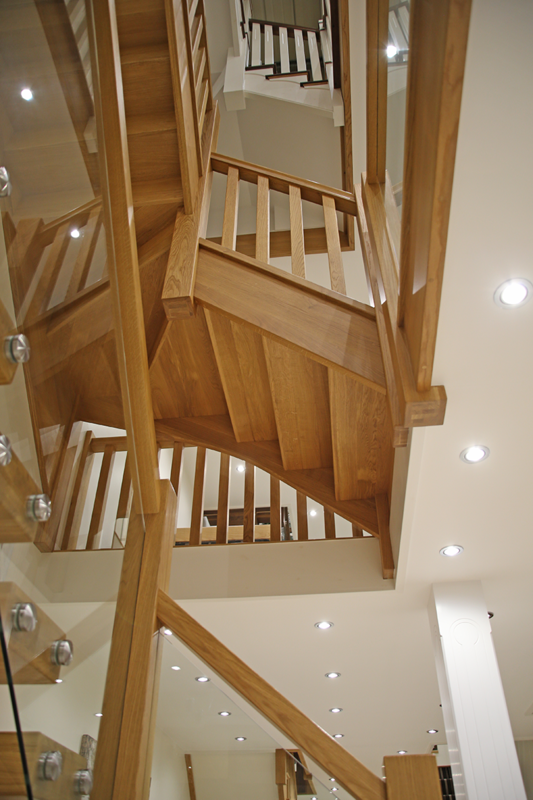 A visit to the showroom can open your eyes to the possibilities for your staircase, it is also the chance to see the quality of the products on offer. Opening times are Monday to Friday excluding bank holidays. 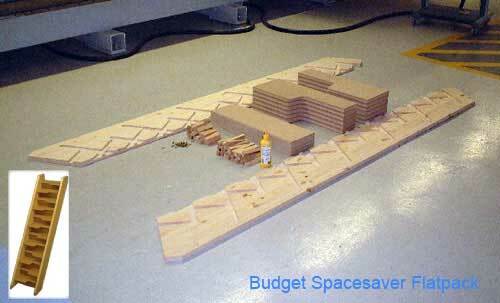 9am - 1pm and 1.30pm - 5pm. 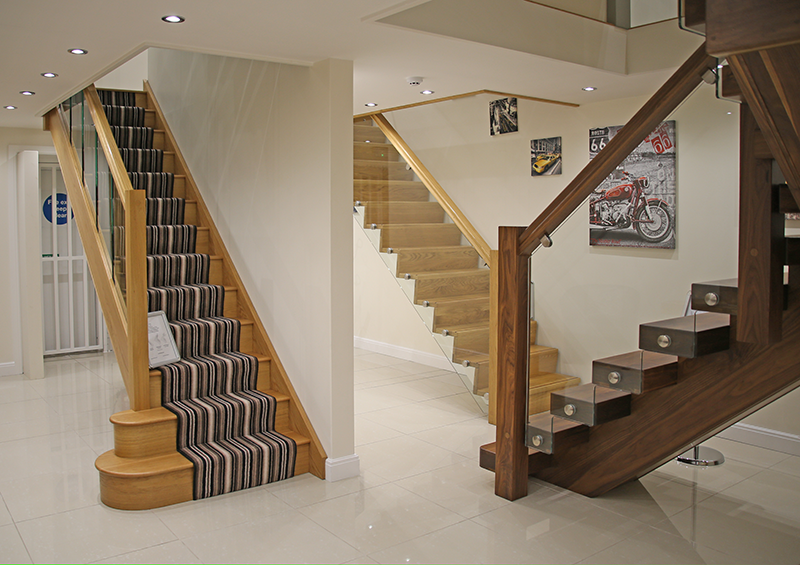 Depending on the type of project you have, drawings or photos and sizes are what we need to help you with your new staircase or staircase refurbishment project. 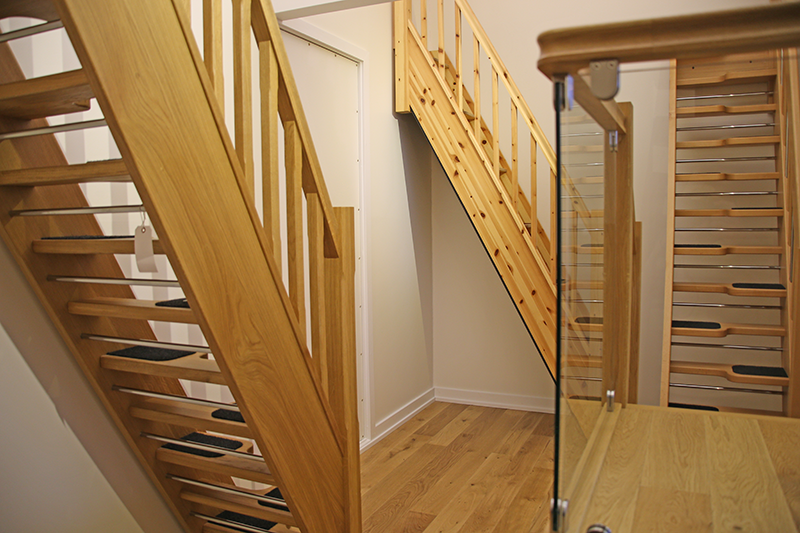 Replacement Staircases or Stair Refurbishment projects photographs are ideal so we can see certain details to advise you the best way of dealing with your project. 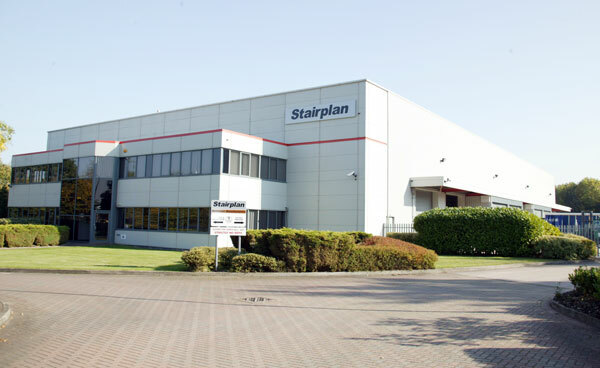 This photo shows a small selection of the staircases available to see at Stairplan in Telford. 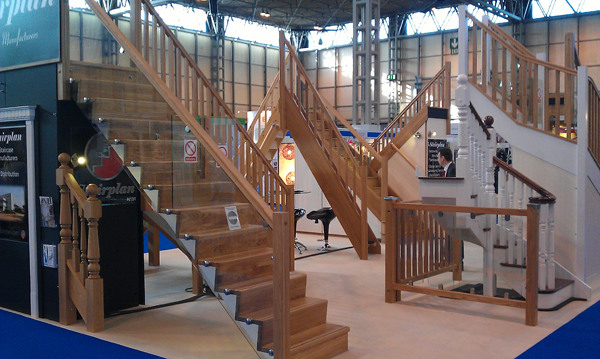 Come and see our staircases and balustrades on display. Compare Axxys and Fusion, see Fusion Glass, Vision Glass and S-Vision Glass. 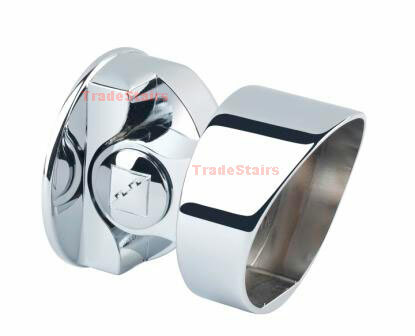 See the ascending Volute detail. 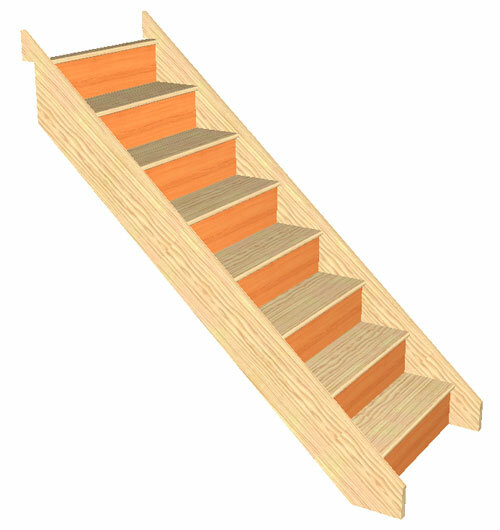 We have an area showing the Space Saving Staircases in the show room. 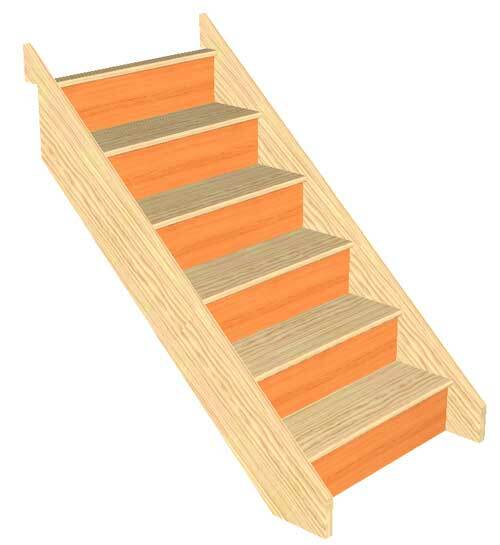 These include the Oak 40, Beech 40 and Birch 24 stair models. 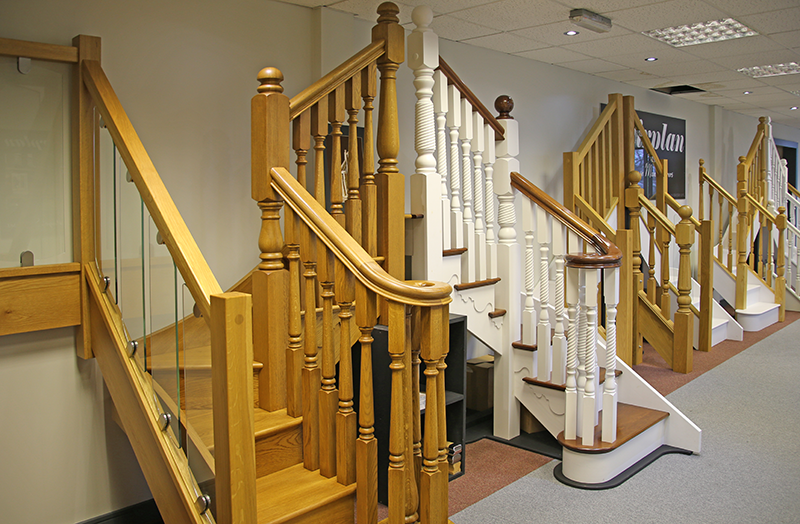 We have a new area to the showroom with 3 storeys of around 15 staircase models on display. 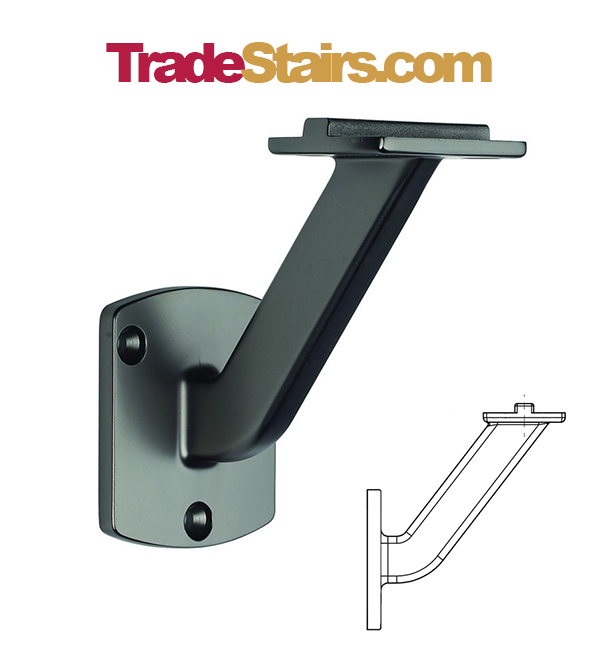 We have a number of options for staircases with glass balustrades and our Vision Glass Balustrade components on display.